The Royal Bank of Scotland and Halifax Bank of Scotland narrowly avoided bankruptcy through a £500 billion taxpayer-funded bailout package in October 2008 and have since shed at least 90,000 employees worldwide. The companies’ total number of employees in Scotland has fallen by some 10,000 as the institutions have shifted their centre of gravity to London. Speaking to The Herald at University of Edinburgh’s Business School, Prof Kay added that he felt it would to “take another crisis” before the UK’s banking sector is properly reformed. 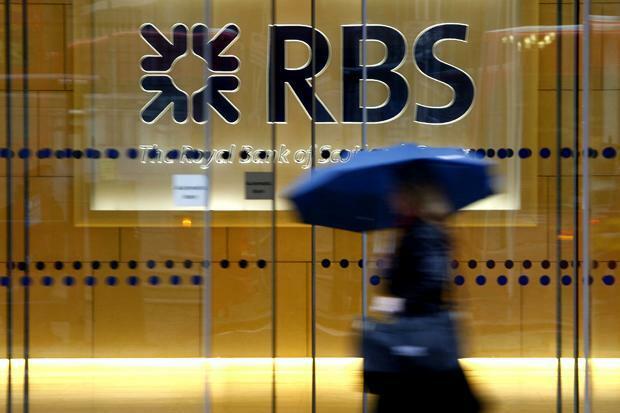 The RBS executive team, is today led by New Zealand-born chief executive Ross McEwan from 280 Bishopsgate in the City of London and HBOS’s surviving brands are run by Portuguese born banker Antonio Horta Osorio from Lloyds Banking Group’s head office in the City of London. “I would concur with John Kay’s view,” said Rob MacGregor, National Officer for the finance sector at the trade union Unite. The collapse of RBS and HBOS has had serious knock on effects for the professional services sector in Scotland. At least eight of Scotland’s most prominent law firms have either collapsed or merged since the crisis. Legal sources blame a decline in banking-related work caused by the banks troubles. The fact the banks are increasingly controlled from London, and a hiatus in the commercial property market that was linked to the banks’ collapse. Law firms McClure Naismith, Tods Murray, Ross Harper and Semple Fraser have gone bust since 2009. Legal names that have vanished through mergers with larger English firms include Biggart Baillie, McGrigors, Dundas & Wilson and Simpson & Marwick. But Owen Kelly, chief executive of industry organisation Scottish Financial Enterprise, said: “Scotland’s diversity as a financial centre – we’re not just providing banking but also asset management, pensions, insurance, asset servicing all kinds of other services – has given us resilience. In terms of job numbers, we are roughly where we were in 2008 – a much better outcome that some were expecting. Mr Kelly pointed to successes such as Tesco Bank, which was founded as a standalone company in December 2008 and has grown Scottish staff to 3000 people. He also pointed to financial planning and investment management firm BlackRock’s decision to double the number of its staff in Edinburgh to 550 people over the past three years. The financial services sector employed 100,000 people in Scotland before the crisis. That dipped to 84,000 in 2009, but has since climbed to 96,000.